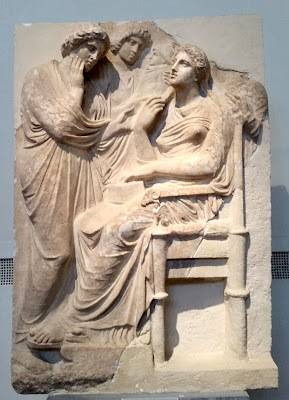 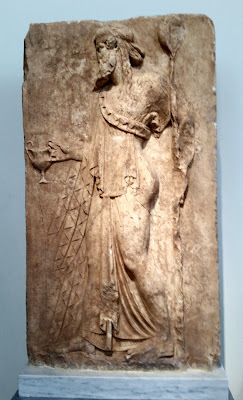 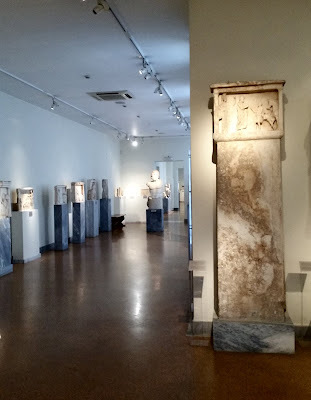 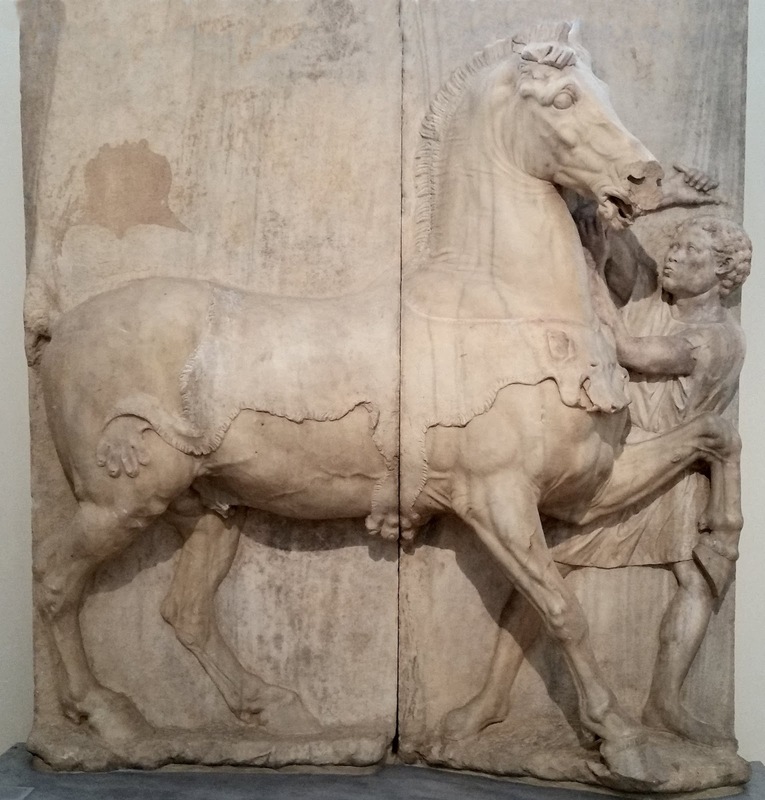 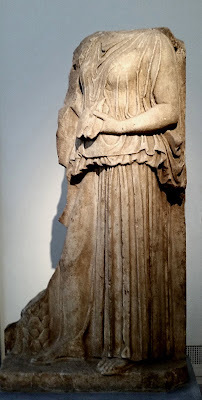 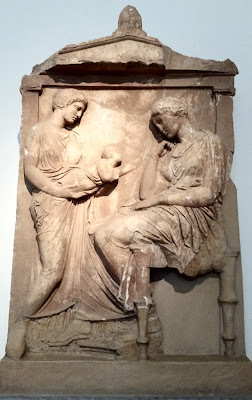 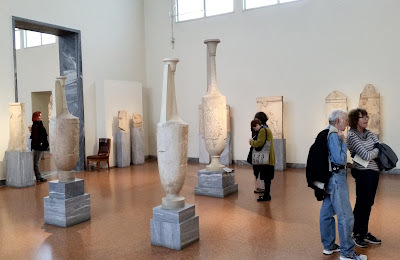 My first of I'm sure many forays into the Greece of ancient times was a visit to the National Archaeological Museum in the centre of Athens. 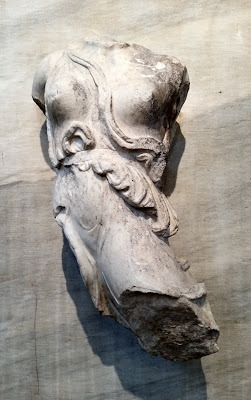 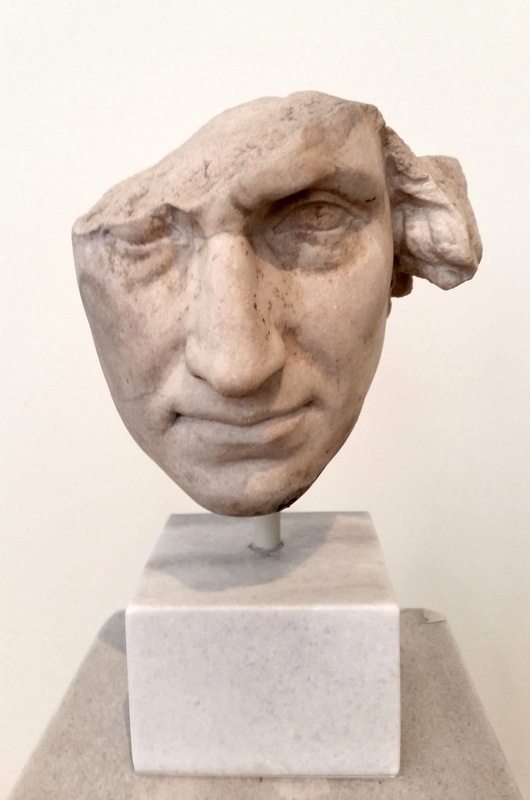 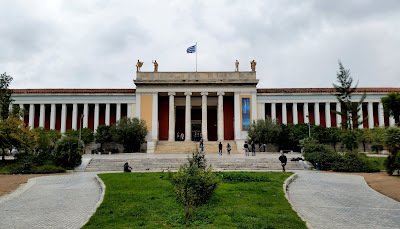 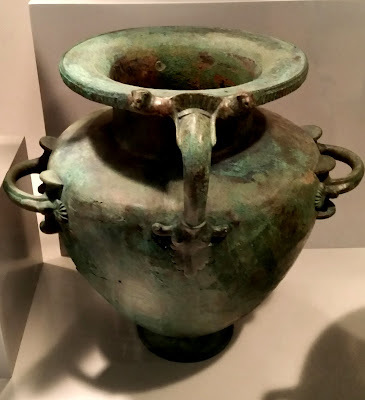 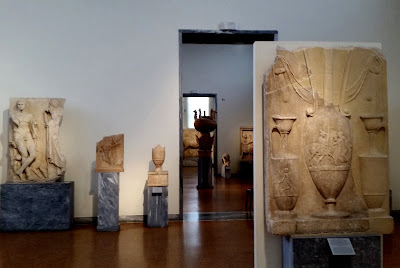 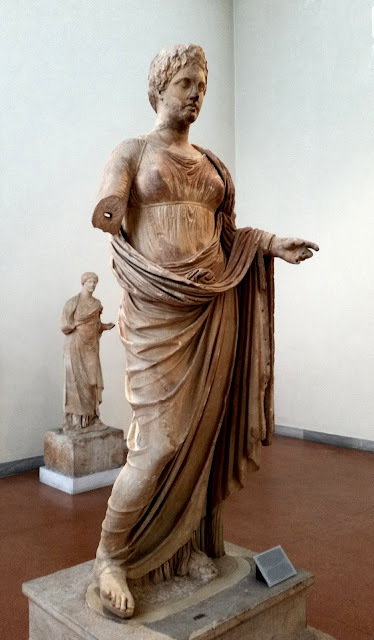 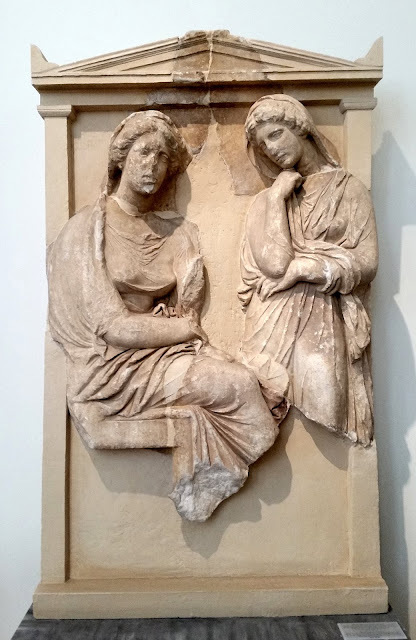 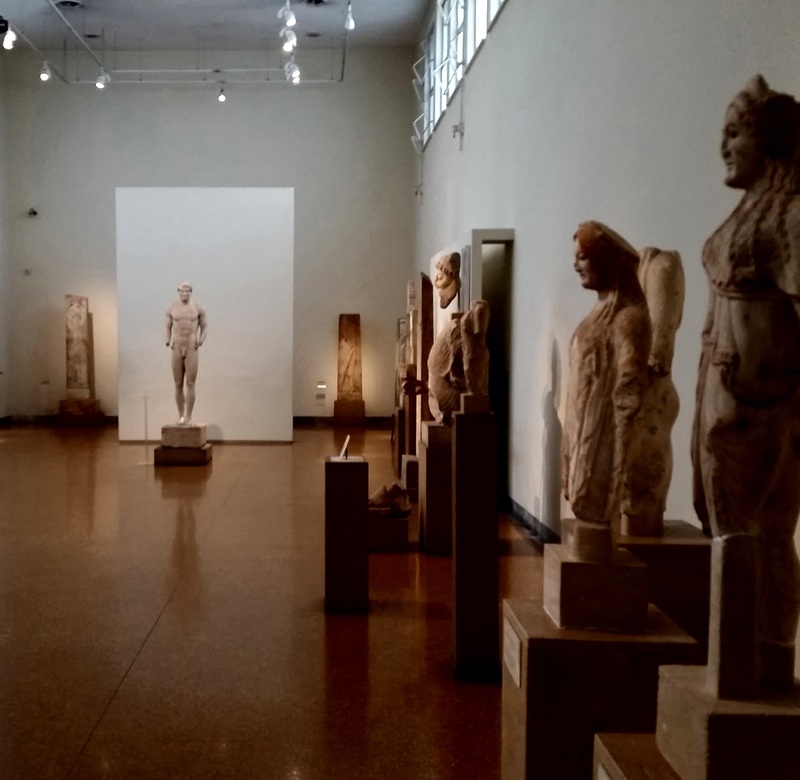 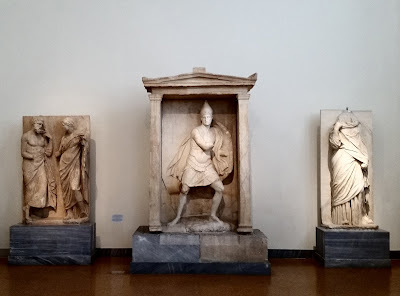 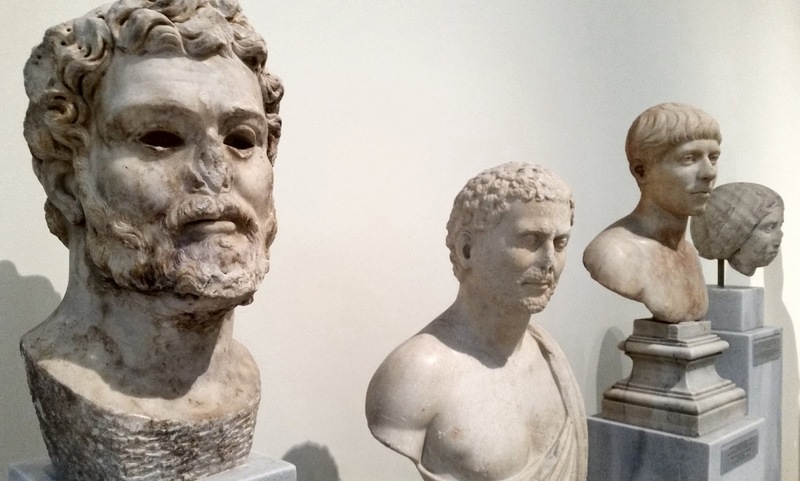 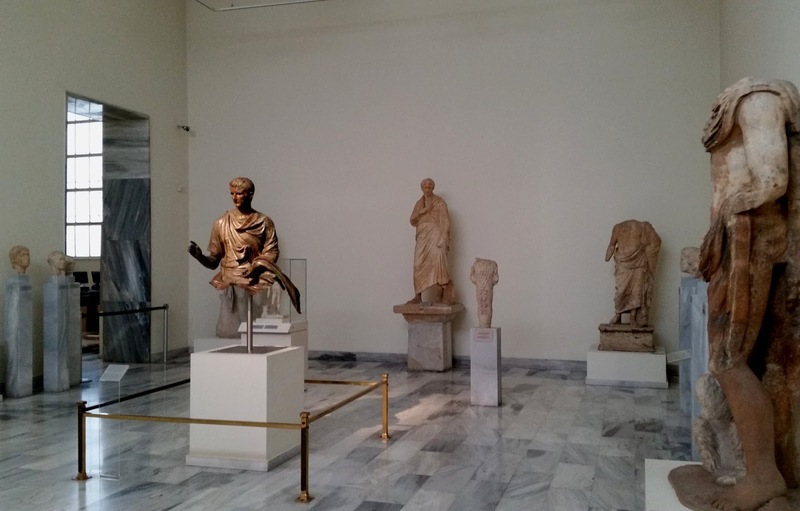 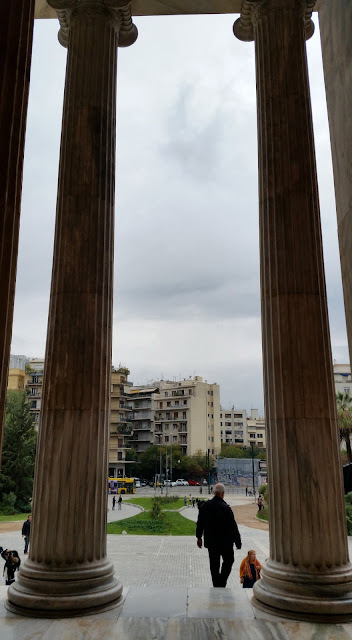 The museum was founded in 1829, but its huge collection of artifacts from Greek antiquity worldwide didn't find a permanent home until more than sixty years later when the current imposing neo-classical building was opened. 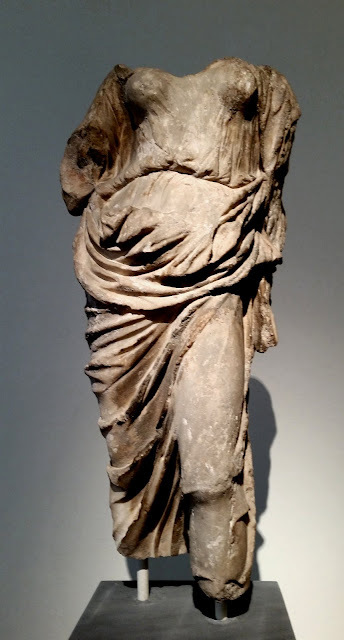 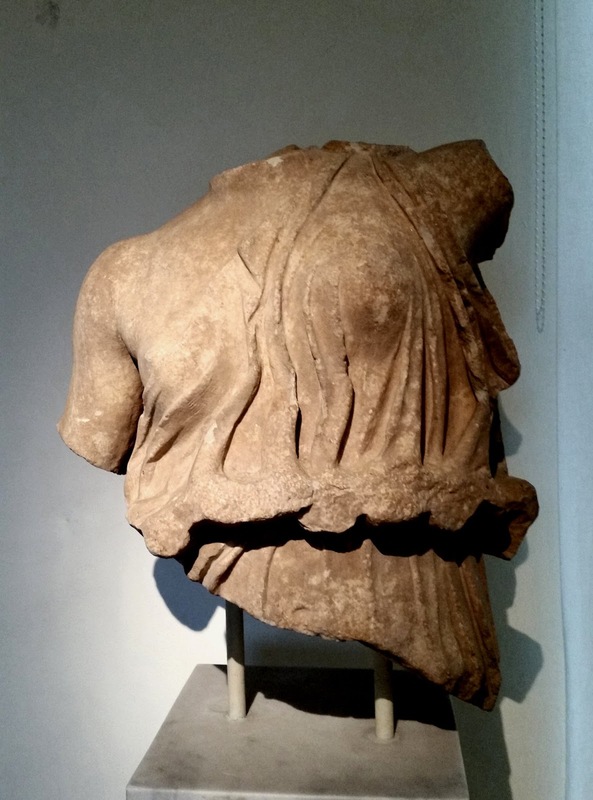 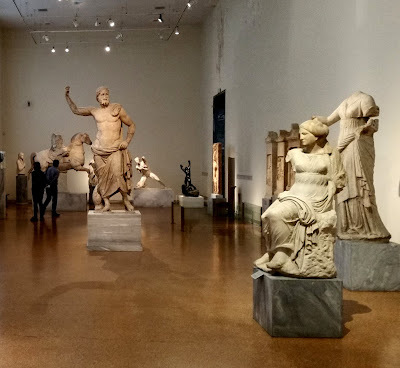 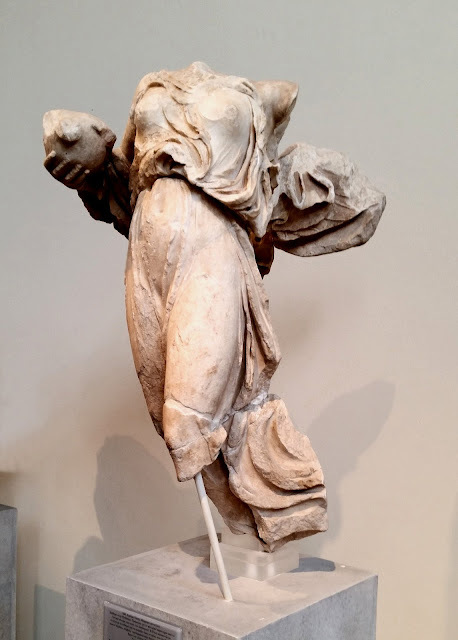 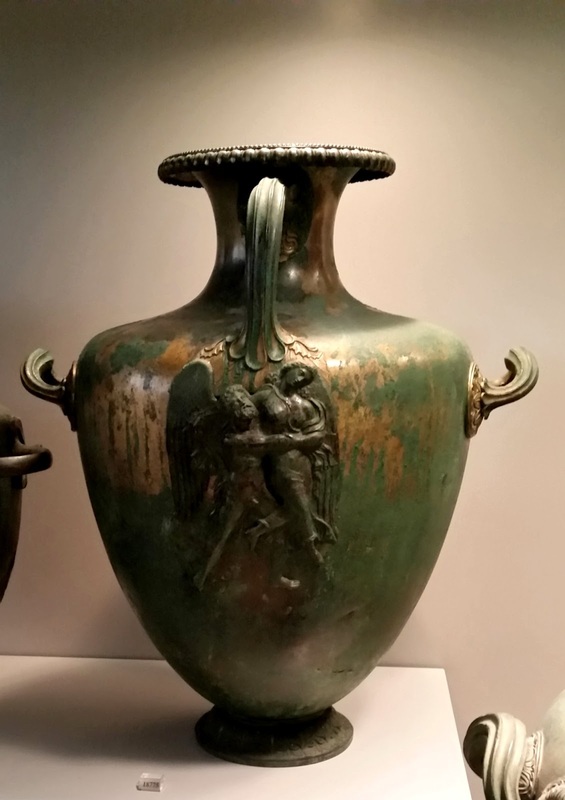 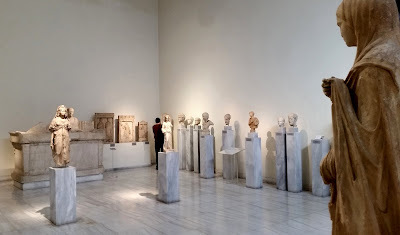 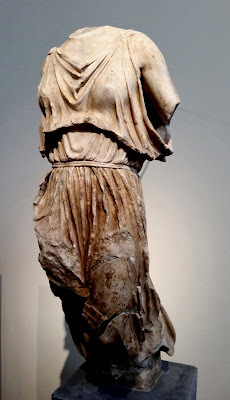 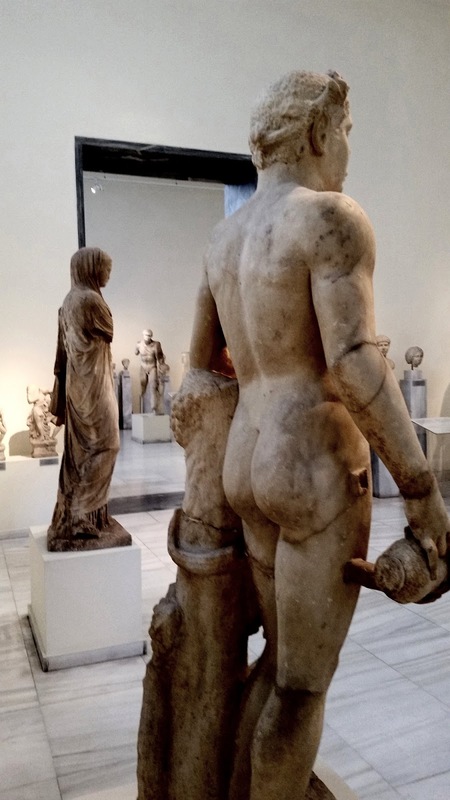 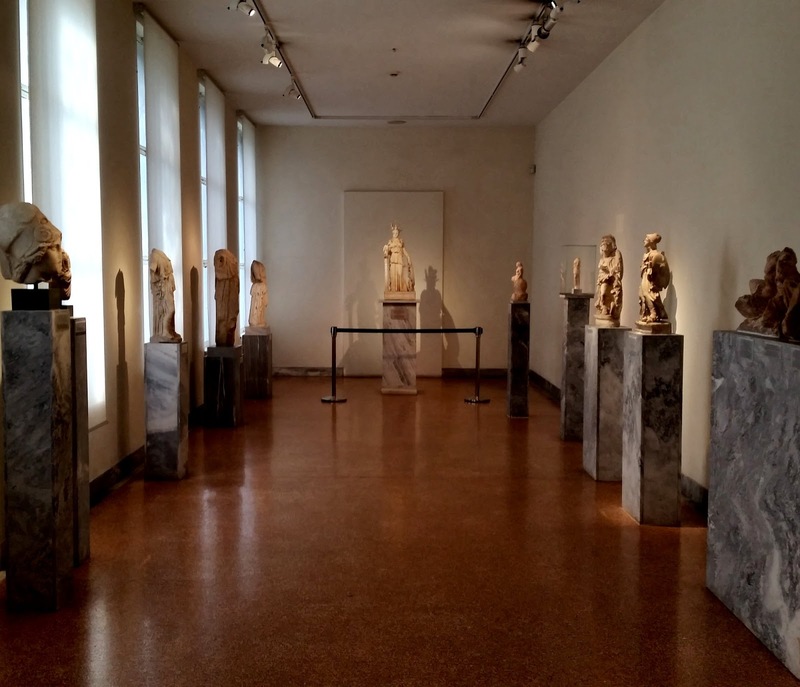 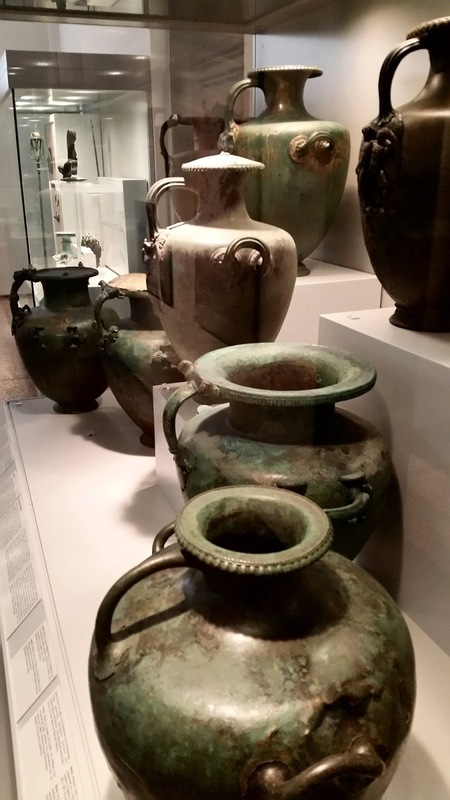 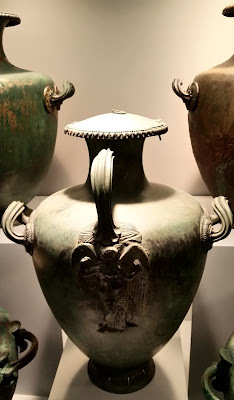 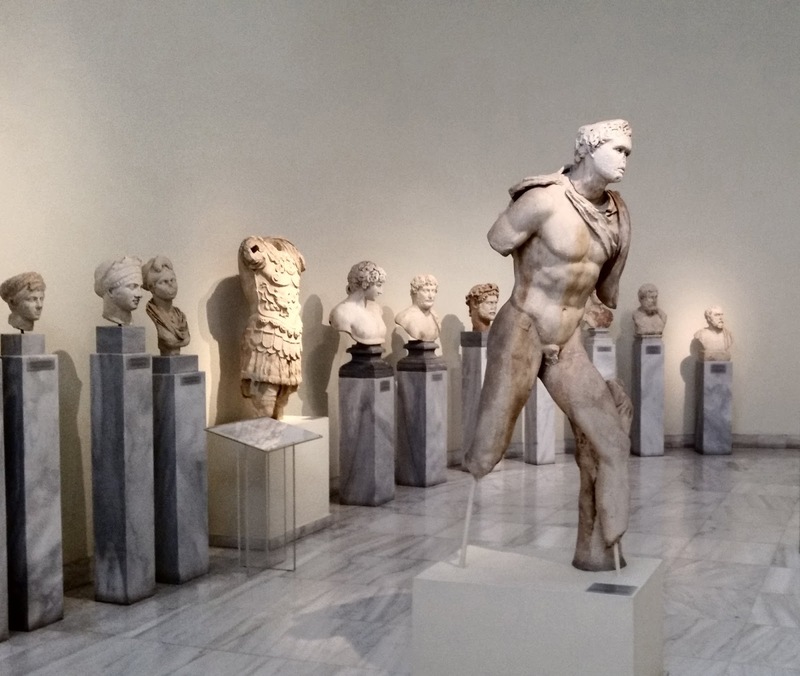 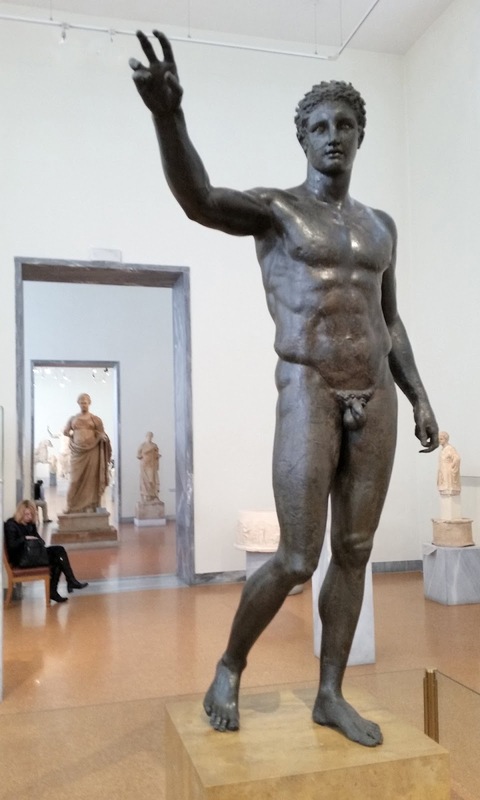 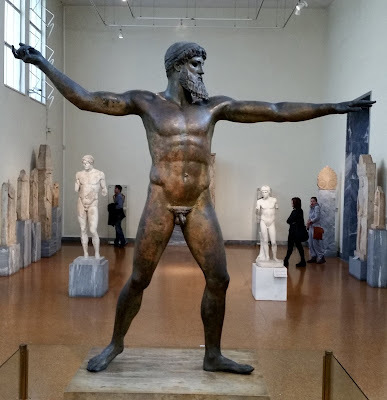 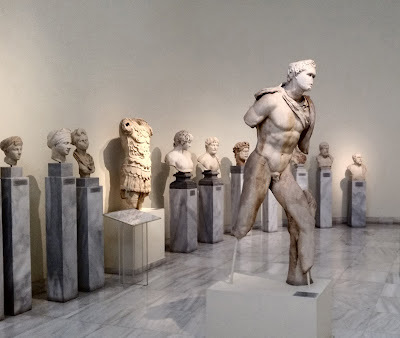 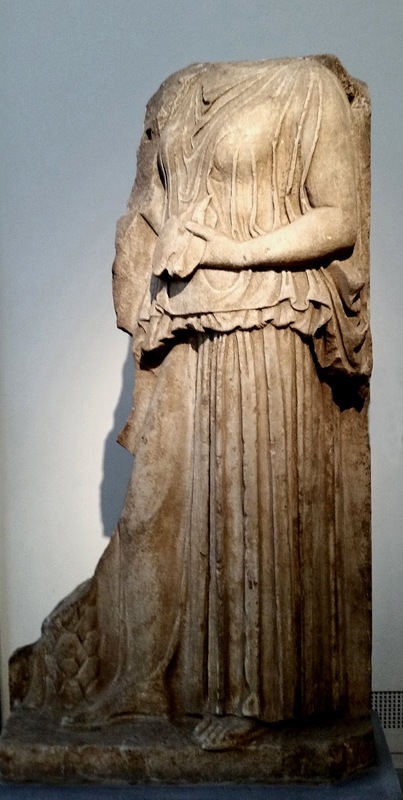 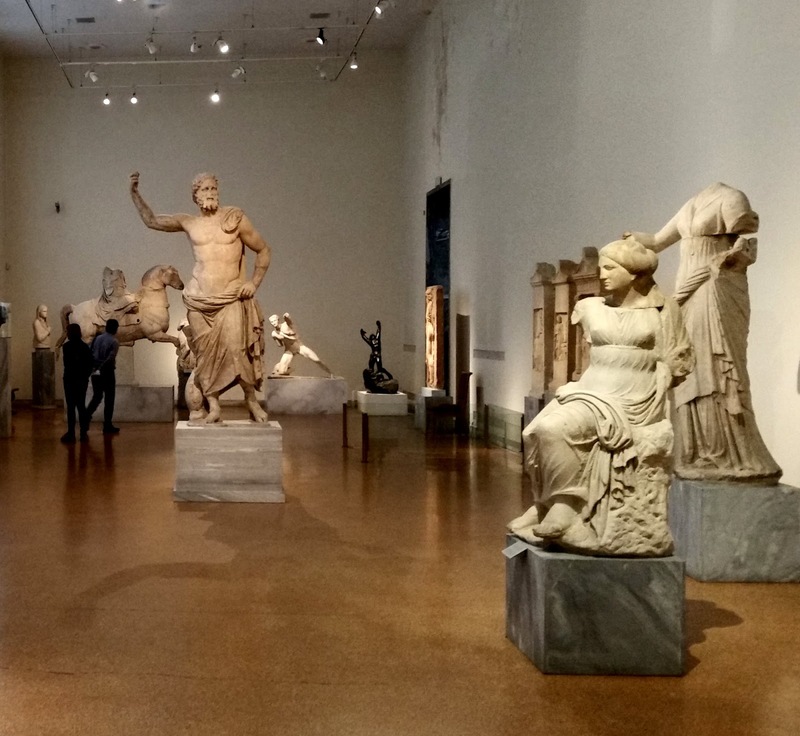 Its many galleries of marble and stone and bronze and clay and precious metal artifacts trace the development of Greece - through its arts - from pre-historic times to the Golden Age of Greece and all the way to the Roman times. 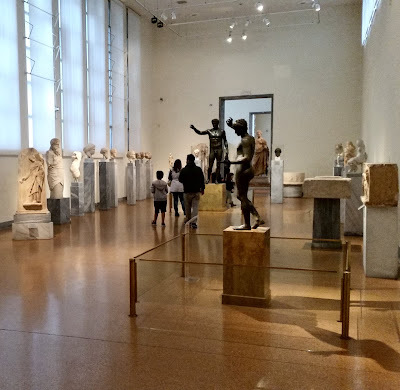 This was a real journey of learning for me and a visual delight to be in the presence of such wonderful and ancient art. 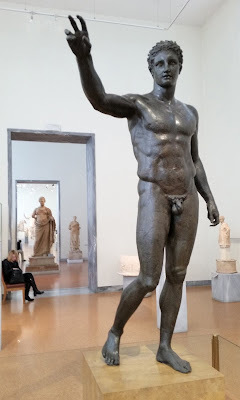 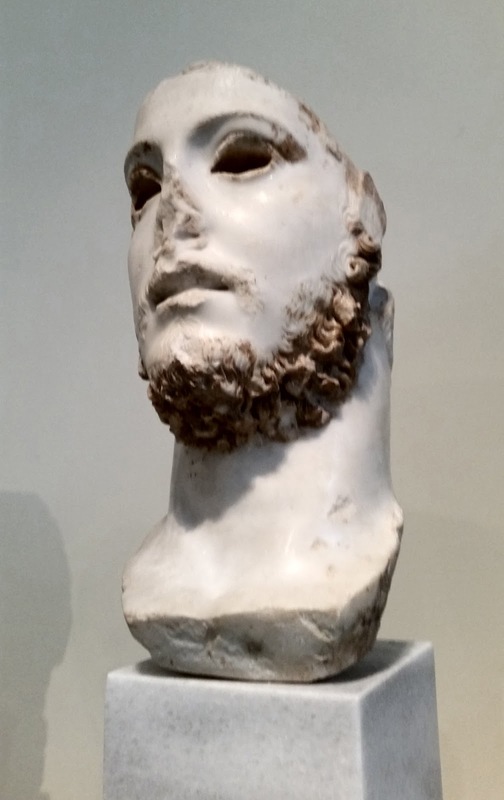 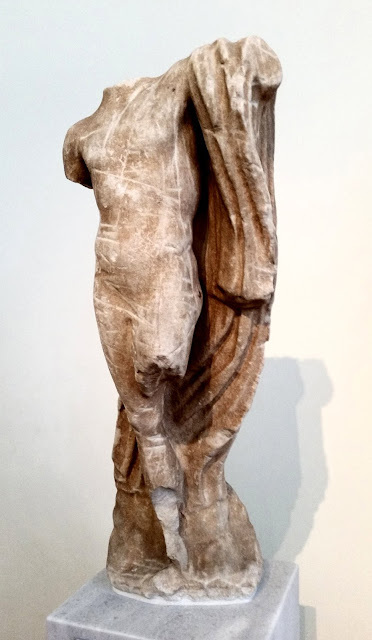 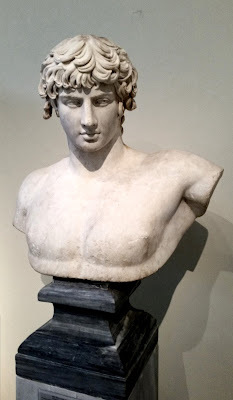 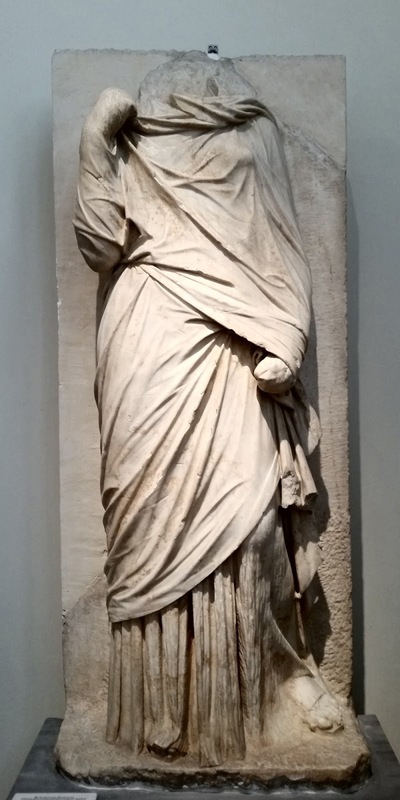 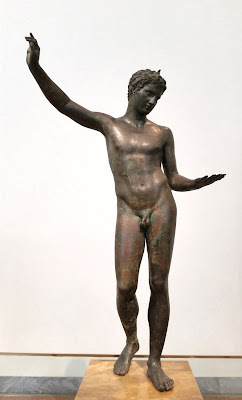 The Greek youth Antinoos was a favourite of the Roman Emperor Hadrian - but unfortunately for the youth, he accidentally drowned in the River Nile under mysterious circumstances. 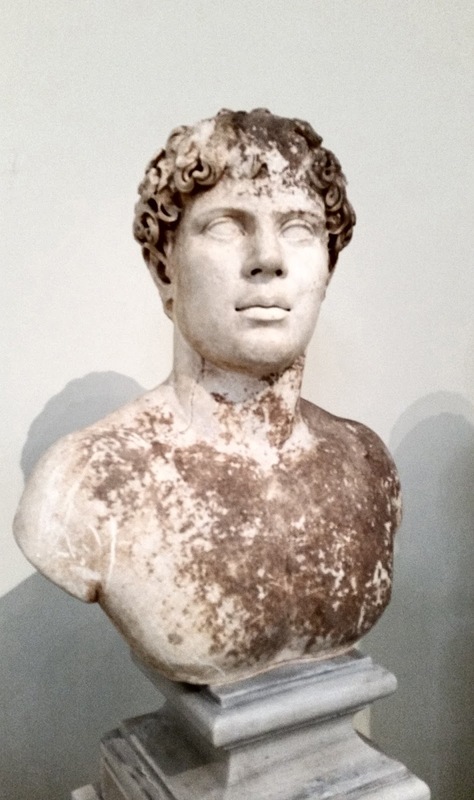 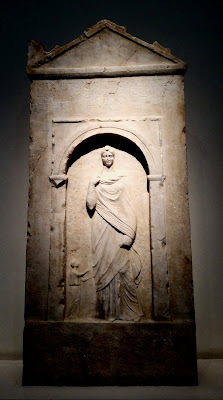 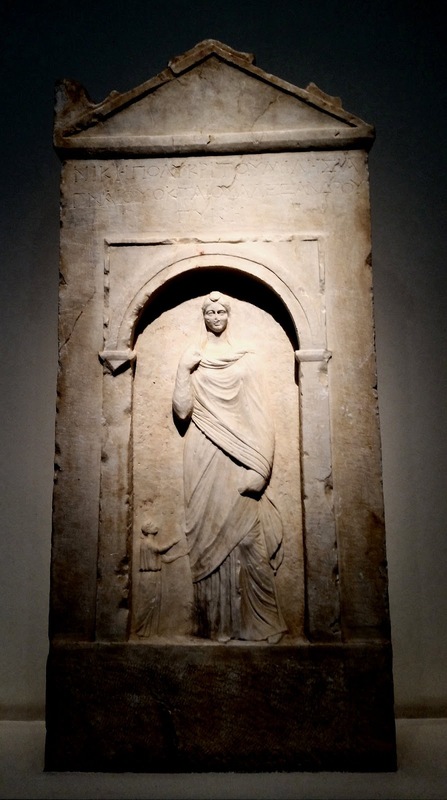 After his death was deified by Hadrian and worshiped as a god and a hero both in the Greek east and the Latin west. 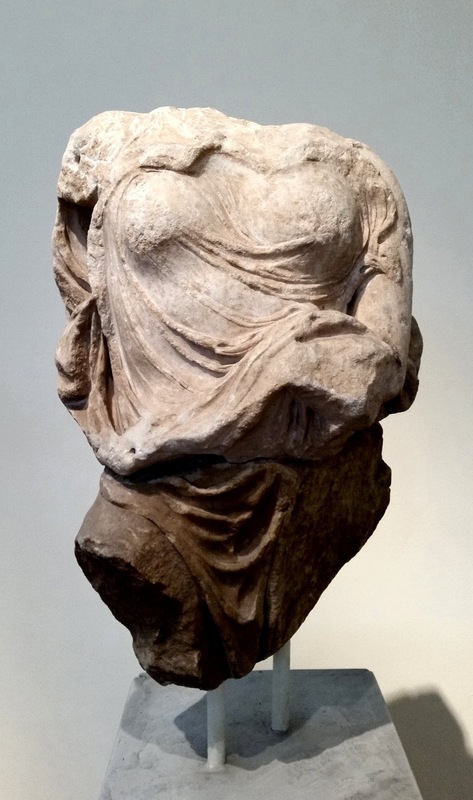 goddess of beauty, love, desire, and pleasure. 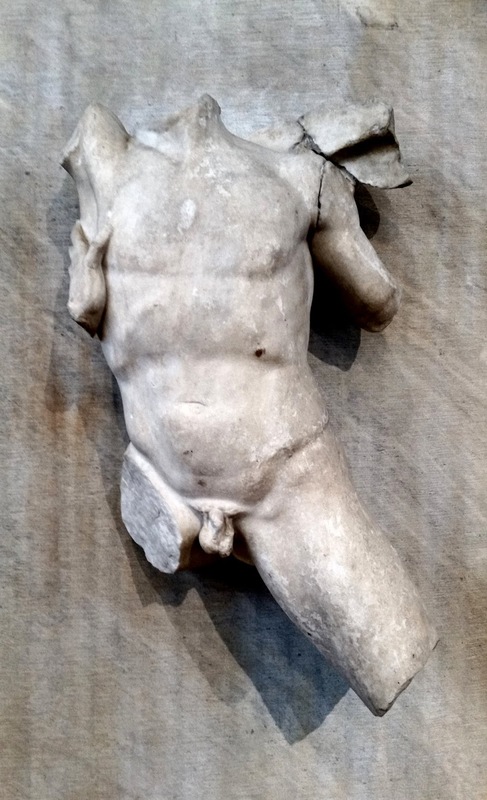 most notably Ares, Adonis, and Anchises. 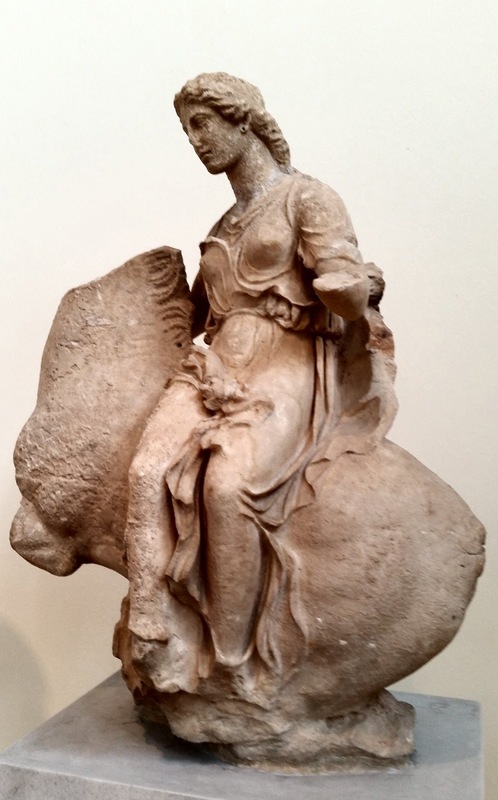 known for her calm temperament as she moves slowly to anger. 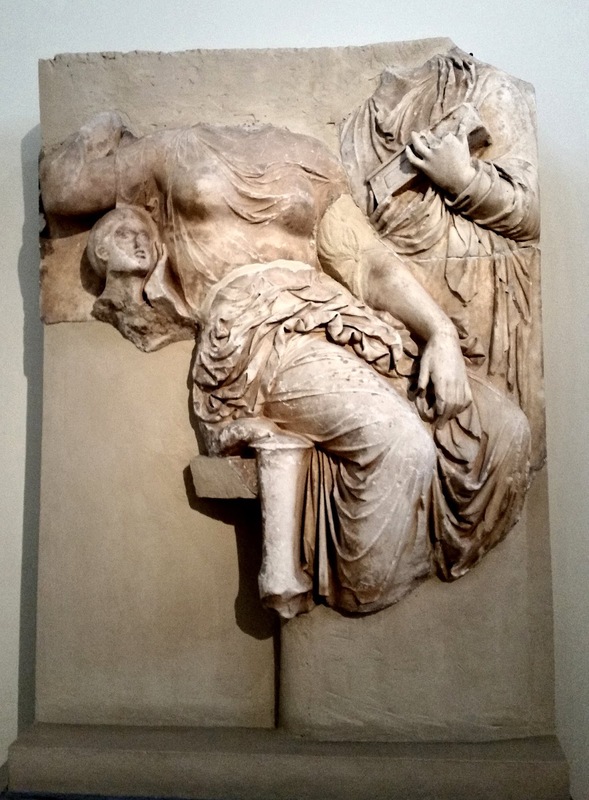 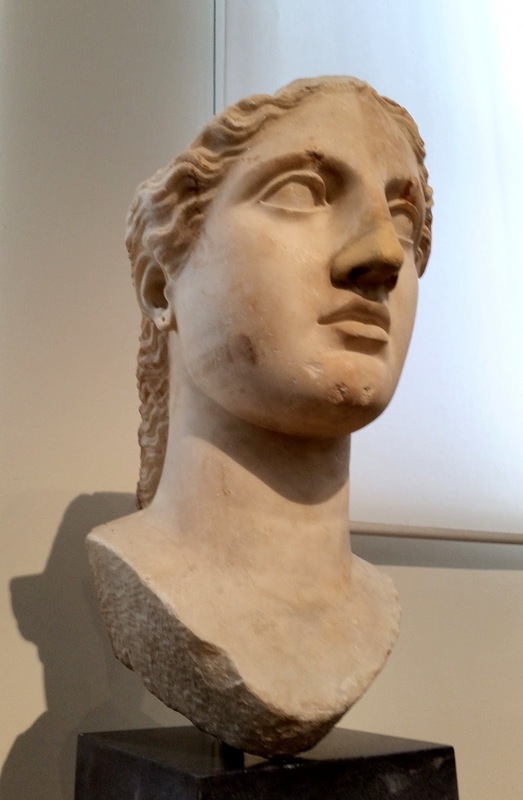 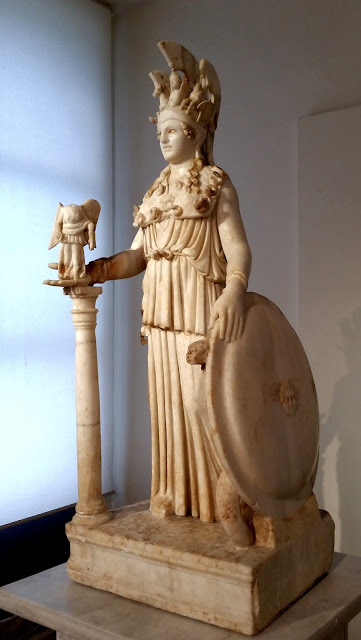 The story of Athena’s birth comes in several versions. 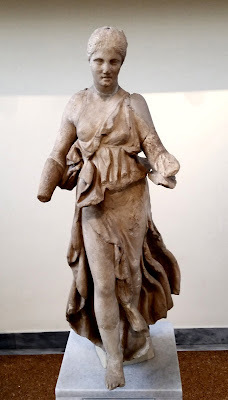 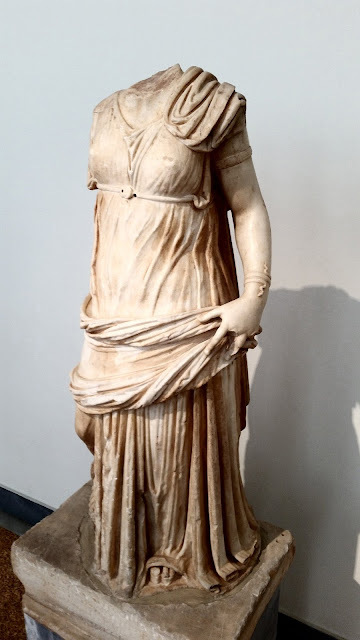 In the one most commonly cited, Zeus - the king of the gods of Mount Olympus - lay with Metis - the goddess of crafty thought and wisdom - but he immediately feared the consequences. It had been prophesied that Metis would bear children more powerful than the sire, even Zeus himself. 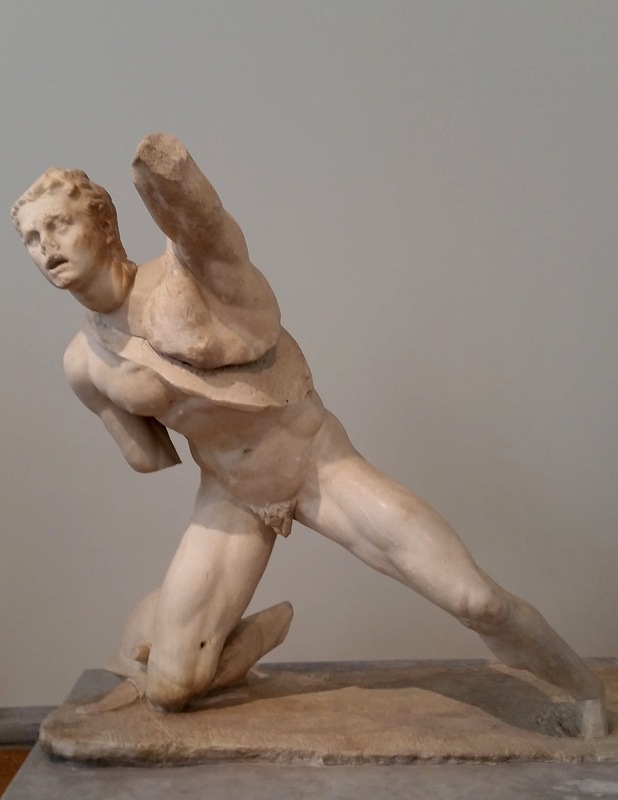 So in order to prevent this, Zeus swallowed Metis. 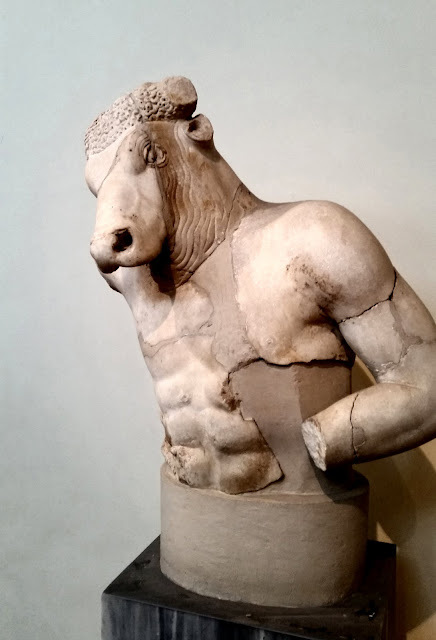 But he was too late: Metis had already conceived. 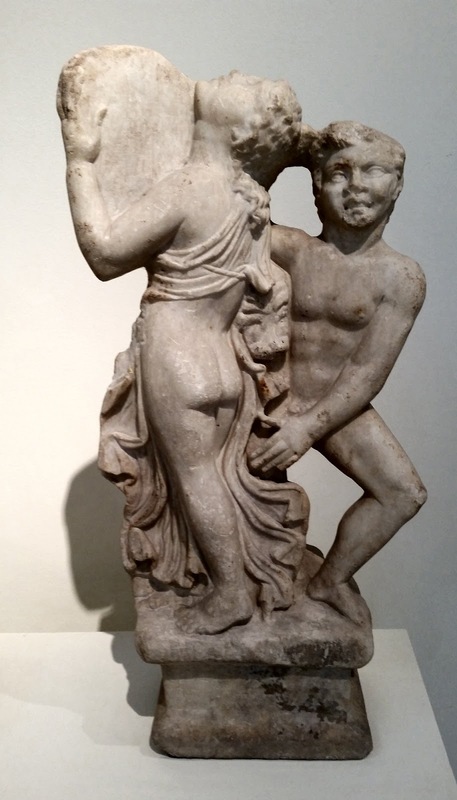 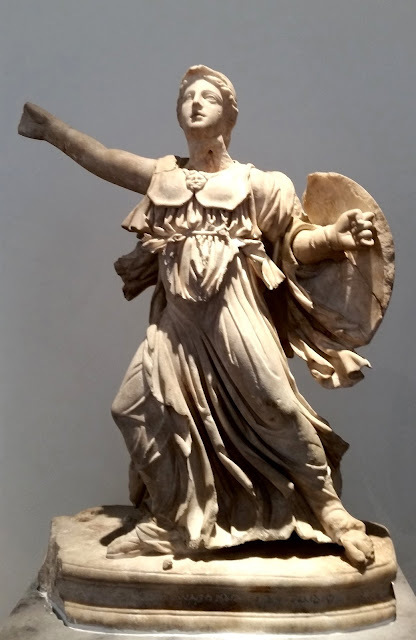 Eventually Zeus experienced an enormous headache; Prometheus, Hephaestus, Hermes, Ares, or Palaemon (depending on the sources examined) cleaved Zeus’ head with the double-headed Minoan axe, the labrys, and Athena leaped from Zeus’ head, fully grown and armed. 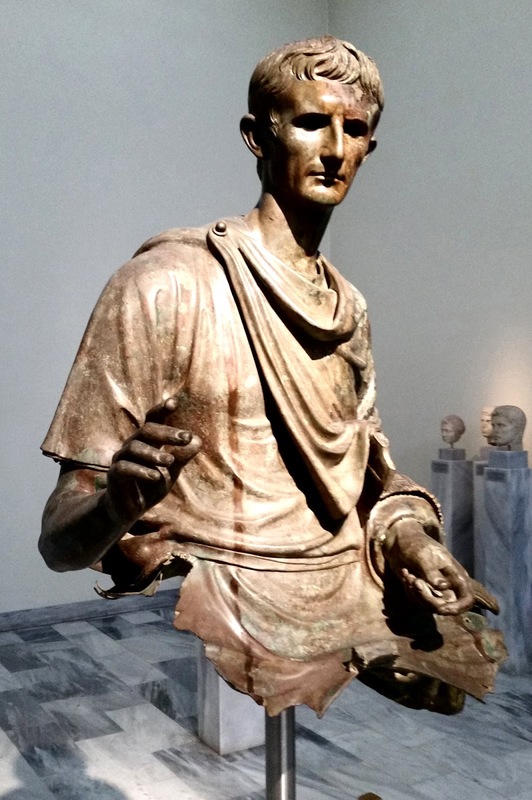 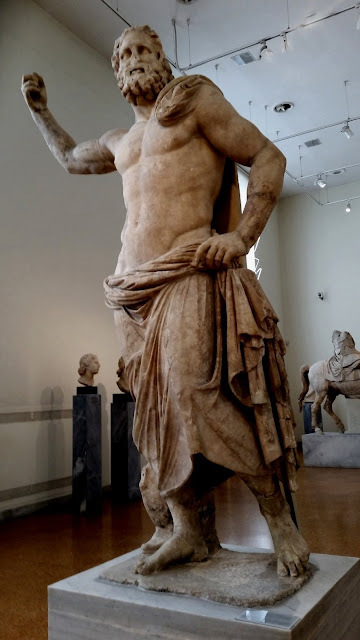 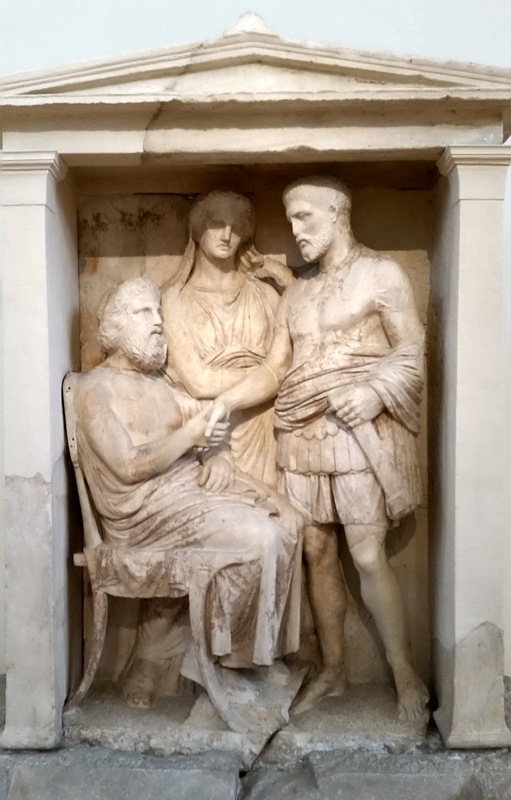 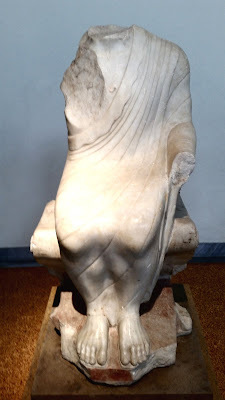 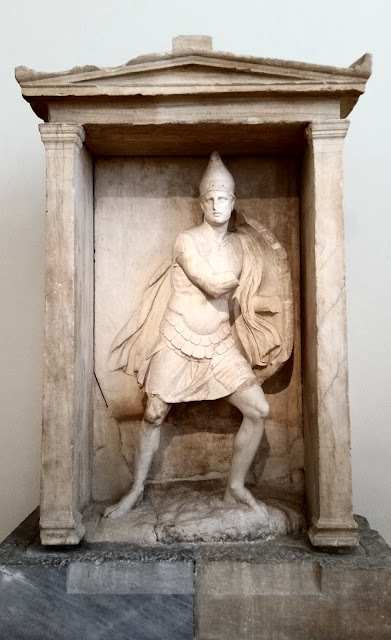 Greek gods are immortal and cannot die no matter what happened to them – but unfortunately for king Zeus, in the 4th century AD Roman Emperor Theodosius - a Christian ruler - forcibly seized the temples of Zeus and thereafter the cult of Zeus was banned. Perhaps he still survives today in some corner of his kingdom.